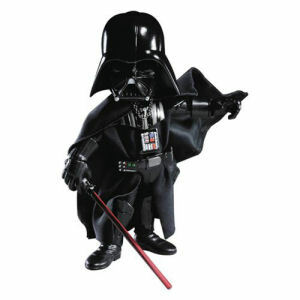 We have Just Sold out of Star Wars Darth Vader Hybrid Metal Figuration Die-Cast Action Figure. This Item is unavailable at present. From the Star Wars collection by Herocross. Star Wars Darth Vader Hybrid Metal Figuration Die-Cast Action Figure. Action figure measures 5 Inches tall. Darth Vader has over 20 points of articulation. Comes with 6 interchangeable hands and Vaders red lightsaber. Herocross Star Wars Action Figures shipping from Canada. No Surprise Border fees or Customs!